University and college students today face an unprecedented financial burden. Tuition fees and other expenses have increased dramatically over the last decade, transferring much of the cost of postsecondary education to the students. At the same time, the job market has become more competitive, emphasizing the need for higher education. In this environment, most students require some form of financial support in order to complete their studies. The federal and provincial governments have been criticized for decreasing the amount of funds provided directly to postsecondary institutions. 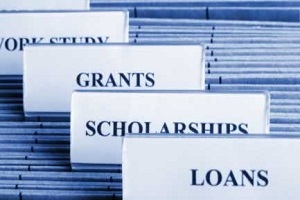 The Government of Canada has responded by allocating additional resources to the Canada Student Loans Program and Canada Student Grants Program for the provision of loans and grants. Similarly, more students rely on Provincial Student Loans Programs such as OSAP to overcome financial barriers to higher education. Scholarships & bursaries are non-repayable forms of financial assistance. If you have excelled in academics or certain extracurricular activities, scholarships are a great way to pay for your education and to mark your achievement. Bursaries are awarded primarily on the basis of financial need and sometimes require a reasonable level of academic merit. Work-study programs give students with financial need the opportunity to earn income by working part-time on campus. The programs are designed to provide financial assistance and career-related work experience during the school year. Student lines of credit provided by banks can serve as a significant source of financing for postsecondary education. Credit lines designed for students offer reasonable interest rates and allow for deferral of principal repayment. If used properly, credit cards can be very convenient for everyday transactions and short-term financial needs. They can also help you to build a good credit history. Use credit cards wisely to avoid common pitfalls. With more money passing through your hands, it is important to develop good money management skills at an early stage. Knowing how to properly manage your money can make life easier and protect you from negative financial consequences.